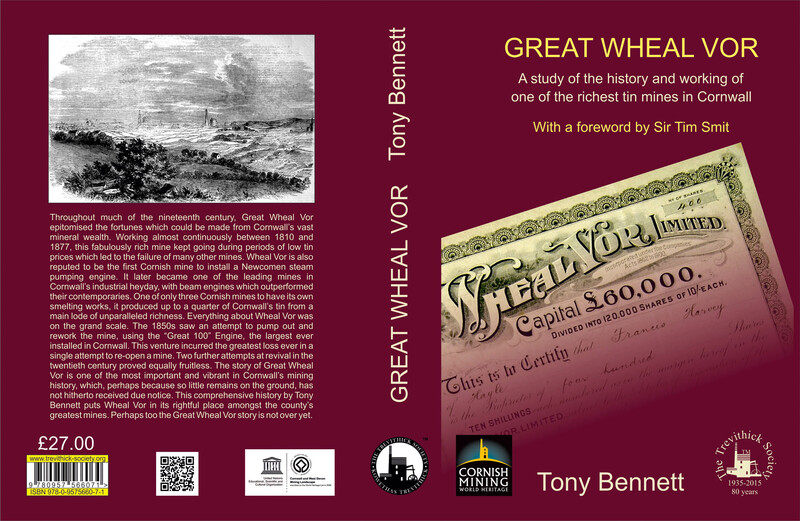 The definitive history, long awaited, of Great Wheal Vor. This was Cornwall’s greatest tin producer at one time, renowned way beyond the county and yet it is relatively unknown today. Wheal Vor was so productive that it justified the smelting its own tin. The book runs to 600 pages and is written by Tony Bennett, who has great knowledge and experience of Cornish Mining, not least through his involvement in the Rosevale Mine at Zennor. It contains a detailed history of the mine, including a prolonged court case which may have inspired Charles Dickens, as well as information on the way the mine was worked, its geology and what remains on the ground. Sir Tim Smit of the Eden Project has contributed an Introduction.